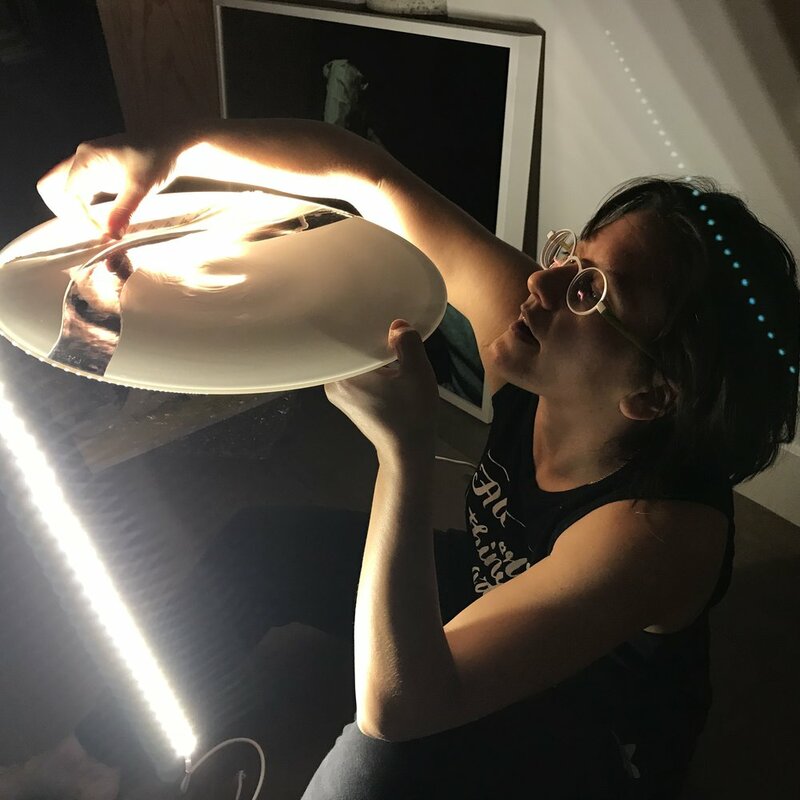 Jess specializes in large-scale, fully custom, illuminated sculptures and lighting for high-end residential and commercial spaces. Her work is site-specific, material-driven, and tactile. Her creative process centers on building relationships and working closely with her clients. Through this, she gains deep insights into their interaction with the space, as well as how their dreams, designs, and associations inform their aesthetic blueprint. Her strong affinity for glass stems from its unique physical properties, its dynamic optical nature, and its relationship with light. From concept to Finished work, Jess is actively involved every step of the way. Jess’s conceptually driven process starts with a deep investigation of the site that often leads to wild ideas. Once the creative vision is defined, Jess brings in expert collaborators to get the job done. Jess has developed an extensive resource pool of creative collaborators to resolve complex design problems. These glass artists, metal workers, and electricians are integral to her process and work. Jess’s role as a project manager begins during fabrication as she hires, provides feedback to, and approves work by subcontractors. This includes metal work, mold-making, electrical, and much more.